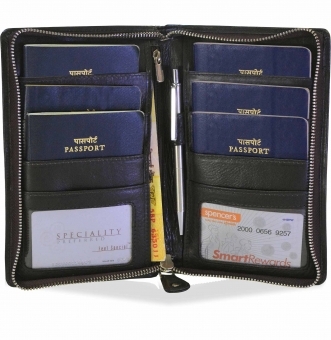 This smart executive travel family passport holder is ideal for your travel needs. 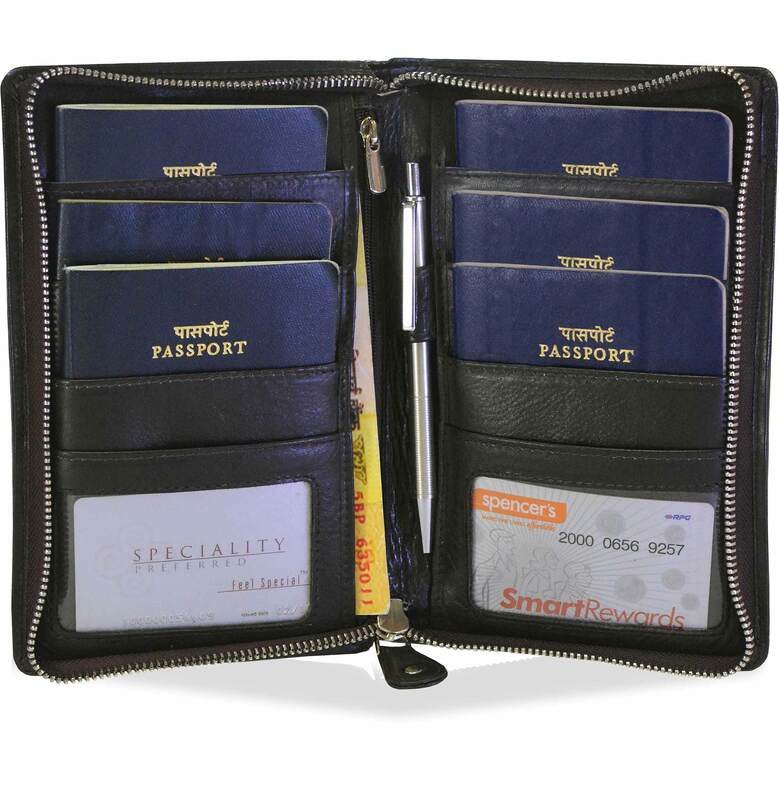 It holds Six passports with ease. 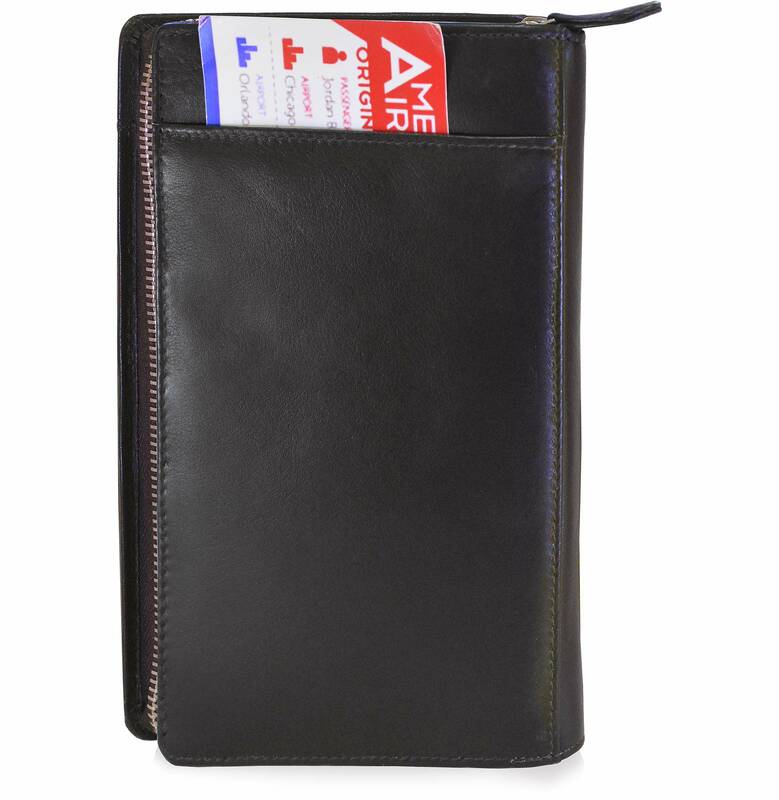 Keeps your important documents like passports, boarding pass, currency and other documents organized at one place. 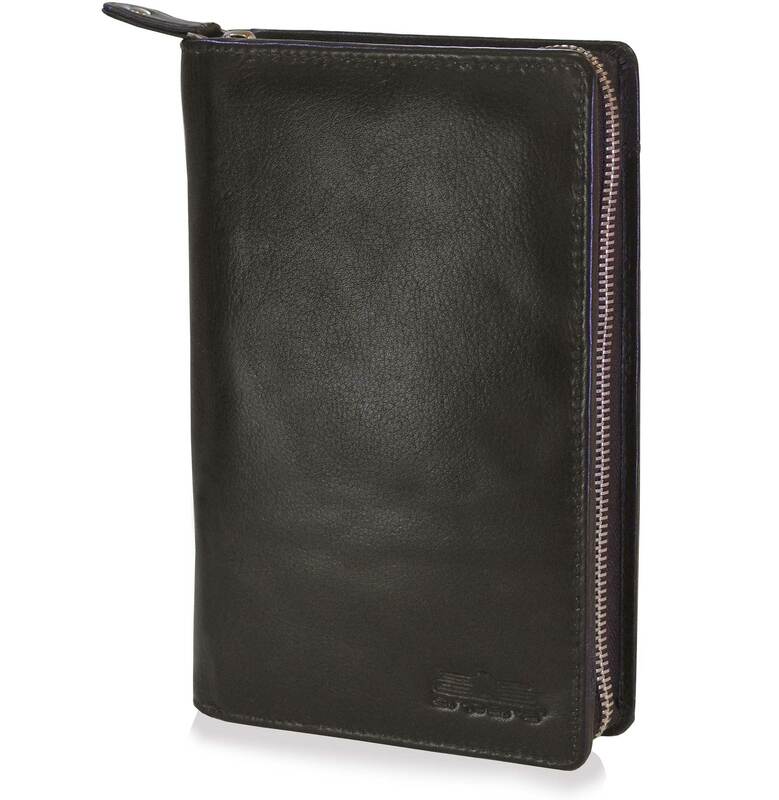 Also are a slip in compartment and pen holder.Hand-crafted from Nappa Genuine Leather.This passport has 2 transparent window compartment. Organize your currency in the 1 currency compartment .1 Chain Compartment for knick knacks. Secure Closure by zipper all around. Dimensions when closed ( inches) : L<--> 7.8 x B 5 x Depth 0.8 When opened (inches) : L<--> 7.8 x B 10 x Depth 0.8 Packing Dimensions:L<--> 8.8 x B 6 x D 2 inches. Napa leather is 100% genuine top grain leather. Articles have a sultry , soft and exquisite feel . 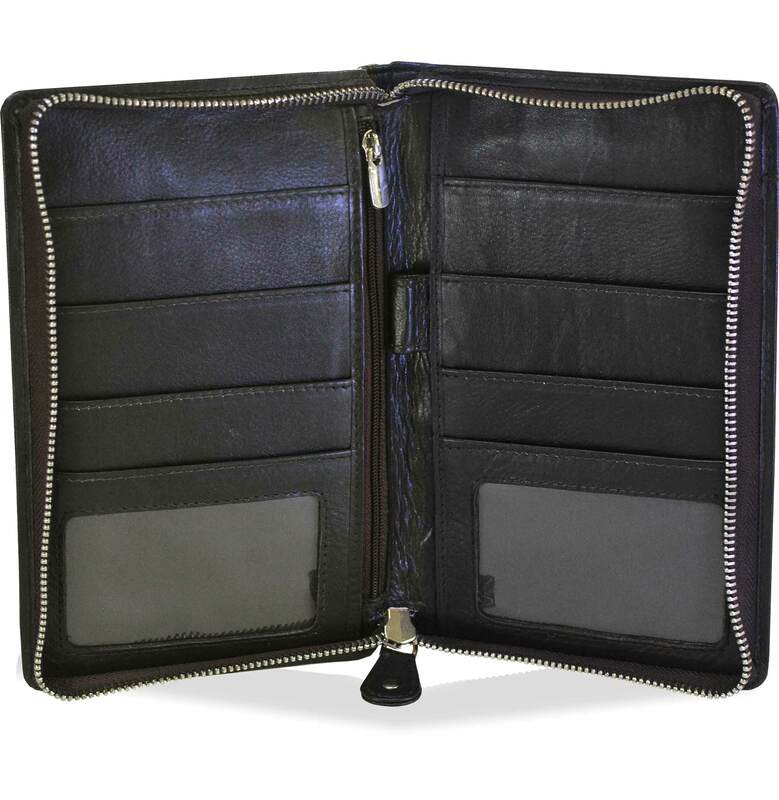 The leather is stretchable and gives a rich sheen on continual usage.